I’d meant to put this up back in May, 40 years after the record in question was released, but didn’t manage to get around to it. I wanted to highlight my Time Capsule series, which I put together for a series of 21 monthly episodes spanning January 1976 to September 1977. Each month consists of a podcast, nowadays available to stream via Mixcloud, featuring the dance music played by myself and other UK DJs back then. This was accompanied by text, where I talked about the tracks and the artists featured, whilst outlining my early days as a DJ. It’s not so much the record, which was never seen as much more than a novelty, but the story behind the record I’d wanted to share. It’s an intriguing multi-layered tale that takes in a number of seemingly unconnected musical / cultural moments in a entwining series of strange but (allegedly) true stories from the Disco odditorium. Shalamar’s ‘Uptown Festival’ is a record with a fascinating story, on a number of different levels. It starts with Simon Soussan, a legendary, if somewhat infamous, figure on the Northern Soul scene – a French Moroccan who was based in Leeds. 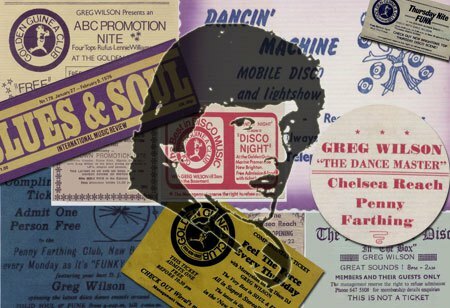 With an eye for business, Soussan was allegedly the biggest bootlegger of rare singles during Northern Soul’s golden era in the ’70s. He became a notorious figure as a result of the various ‘scams’ he came up with, and Ian Levine, in an interview with Bill Brewster some years ago, summed him up in the following way; ‘He damaged the scene and people have still not forgotten him after 25 years. He’s still a figure of contempt. But he did discover a lot of great records. He went on to become a successful disco producer’. Re-locating to Los Angeles in the mid-’70s, Soussan had set up a record exporting business in collaboration with Selectadisc in Nottingham. It was here that Ian Dewhirst (DJ Frank on the Northern scene) hooked-up with him. 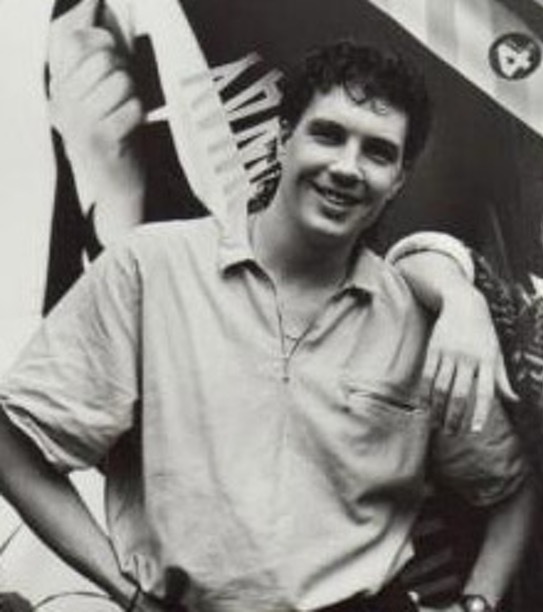 Dewhirst, just out of his teens, had come to the US in order to search for Soul rarities, which he’d send back to his partner in the UK, another important player on the scene, Neil Rushton (who would later play a major role in promoting the Techno movement). 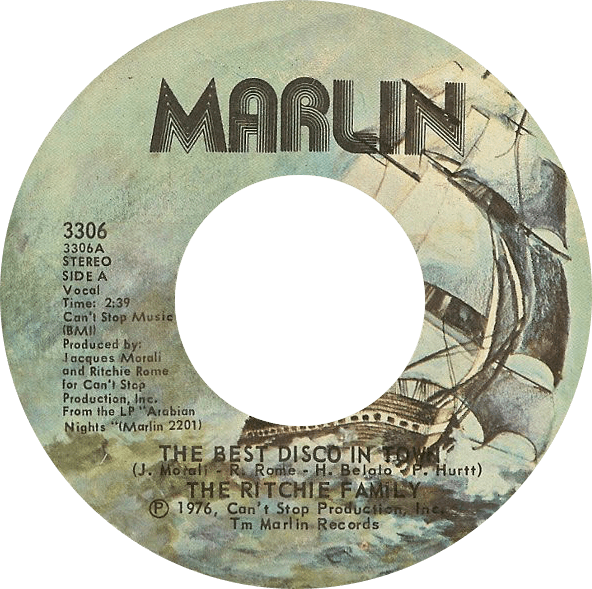 Inspired by the success of ‘The Best Disco In Town’ by the Ritchie Family (see Aug ‘76 Time Capsule), Dewhirst suggested that a similar styled Motown medley would work well. Soussan thought a medley of Northern Soul favourites would be better still, but Dewhirst, realising the limitations of this, especially with the US audience in mind, argued that a Motown medley would appeal to a much wider market. Soussan was persuaded that this was the way to go and lost no time in taking the bull by the horns and pulling the project together. This is how ‘Uptown Festival’ was born. 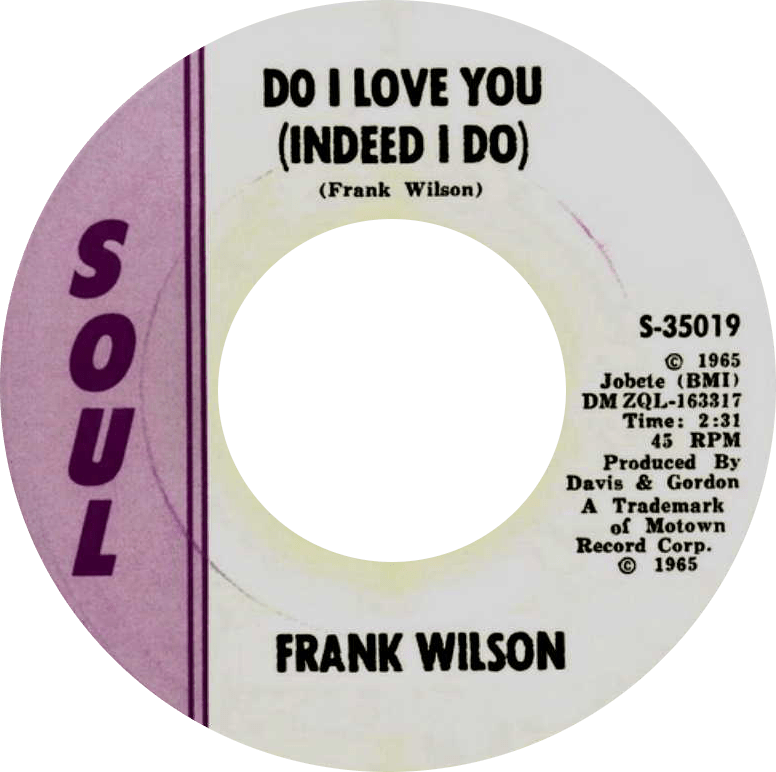 However, before the track was signed by Soul Train, the label set up in 1975 by the famous host of the TV show, Don Cornelius, Soussan had had a meeting with Tom DePierro at Motown’s LA offices, and it was here that he came across an extremely rare single called ‘Do I Love You (Indeed I Do)’ by Frank Wilson, which had been pressed, but never issued, on Motown’s Soul label in 1965. Ian Levine takes up the story; ‘Tom DePierro was quite high up at Motown. He was a very nice gay guy. He had got one of the only two copies that were in existence of this single. 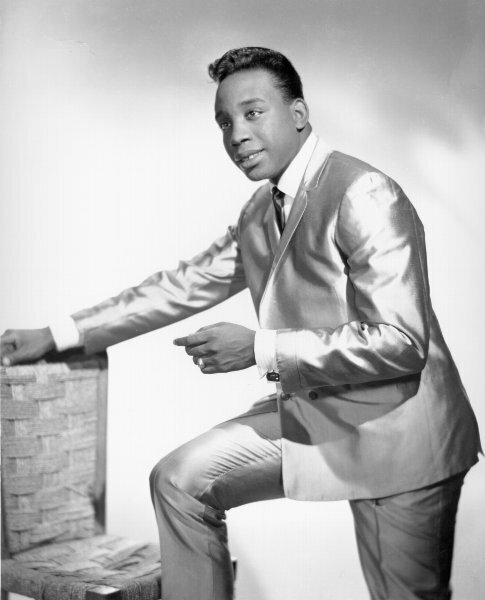 According to Frank Wilson, they pressed up some copies and because he was producing Brenda Holloway, and Berry Gordy collared him backstage somewhere and said, ‘Hey man do you really wanna be an artist with all the hassles?’, so Frank says, ‘You’re right Berry I’m not going to be an artist.’ So Berry destroyed the records and, somehow, two survived. Soussan borrowed the copy off DePierro. Every month he would ask for his record back and Soussan would say (mimics Soussan’s French accent) ‘Oh, baby, I bring it tomorrow’, not knowing that he’d sold it to Les McCutcheon (future manager of the band Shakatak). Tom DePierro got AIDS and went to his death-bed without ever getting the record back off Simon. Soussan bootlegged the Frank Wilson as Eddie Foster. He sped it up slightly’. The Frank Wilson (aka Eddie Foster) single would become a Wigan Casino classic and, in 1999, the 2nd copy, which had turned up in Canada in 1990, would change hands for a world record £15,000! (It subsequently sold for just over £25,000 in 2009). 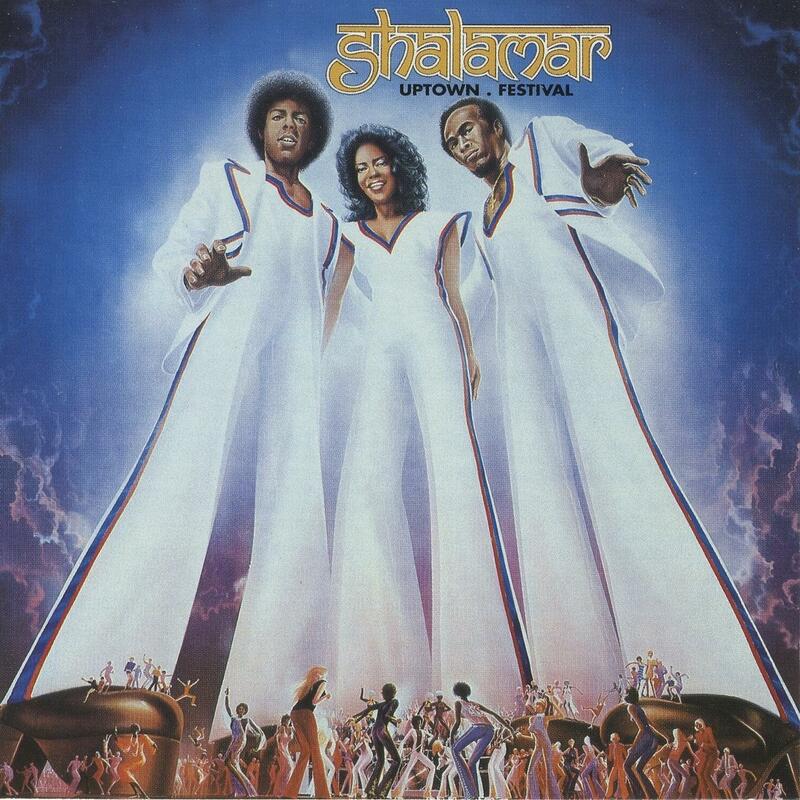 The Northern Soul connection also extended directly to Shalamar, who got their name via The Shalimars, whose 1966 Verve single, ‘Stop And Take A Look At Yourself’ had been a Northern favourite. ‘Uptown Festival’ would go on to become a massive US Disco hit, just missing the top spot, whilst reaching number 30 on the UK chart. As a consequence, a permanent line-up of Jody Watley, Howard Hewett and Jeffrey Daniel was brought together, and the hits came thick and fast, all the way through to the mid-’80s. Daniel, previously a Soul Train dancer, is also acknowledged as being the person who brought body-popping to this country, following a British TV appearance by Shalamar in the early ’80s. Ian Dewhirst would return to the UK soon after the recording of ‘Uptown Festival’, where he’d go on to DJ at one of Britain’s pioneering New York style discotheques, The Warehouse in Leeds. Later down the line he’d head up Fourth & Broadway in the UK before going on to devise the brilliant and hugely influential Mastercuts compilation series, amongst many other ongoing contributions to the documentation of dance culture. He’s also a member of the Six Million Steps crew and does a weekly radio programme, The Original Mastercuts Show, on Starpoint Radio, with 6MS partner Alan Champ. Simon Soussan went on to produce Disco projects including Arpeggio, Pattie Brooks and French Kiss, often re-writing tracks from the Northern Soul scene to bring them into a Disco context (i.e. – ‘Love And Desire’ by Arpeggio was ‘Stronger Than Her Love’ by The Flirtations). Little has been heard about him since the demise of Disco and his whereabouts are currently unknown. Always a pleasure to read Greg many thanks for the insight. Incidentally what happened to Shalimar? Nice insight and reflection Greg! Fascinating the cross pollination between the Northern Sound and Disco!! This was a really great read, thanks for sharing! Shalamar’s ‘Uptown Festival’ has such a rich and interesting history. The history of genres and interactions between genres are really fascinating topics! As always Greg, an insite into something otherwise lost, fascinating and relevant – a story I knew well as I was around it at the time, and was very close to going to LA with another record dealer to see Simon Soussan – a fella called Colin B from Weybridge (an oddity at the time being a southerner trading Northern Soul), we knew that he had booked the studio time and what he was going to do, and would of been there to see it, I can’t remember why I pulled out but I was later sent a one sided demo 12 inch of the recording by Colin, with what became the a and b side of the UK 7 inch release in one extended version, which for many years I used for setting up the needles on my decks, as the flip side of it was completely blank, sorry ….I was very young at the time ! Wow! Haven’t seen that before, big thanks for sharing Sammy.